A critical meeting is taking place on Thursday, August 24. Delegates and heads of state from all twelve snow leopard (Panthera uncia) range countries are coming together for the Global Snow Leopard Summit, where they will be discussing the fate of this mythic cat. These world leaders will be meeting in the Kyrgyz Republic, and they will be joined by experts from various fields. Their goal is to assess the state of snow leopard conservation, update a key document called the Bishkek Declaration, and strategize for the future. They will discuss ongoing threats to snow leopards, ways to bolster funding for the cats’ conservation, and how to sustainably increase rural peoples’ livelihoods. This last element is key, because many human communities within the snow leopard’s range are extremely poor. They are also heavily reliant on livestock. So when snow leopards kill the domestic animals local people depend on, it does not engender kind feelings towards the cats. 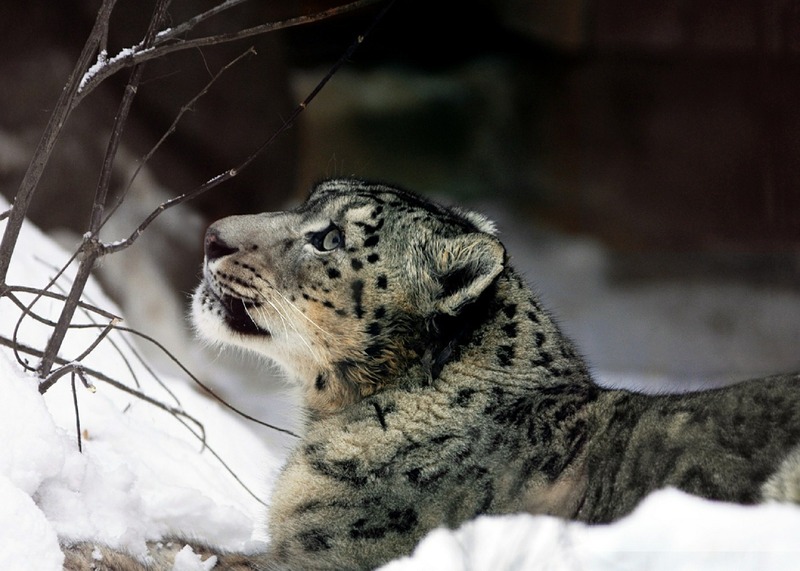 Enhancing and diversifying rural livelihood opportunities, in ways that minimize environmental impacts, may thus make people more tolerant of snow leopards. This is especially true when economic benefits are directly tied to conservation outcomes, as is the case for the Snow Leopard Trust’s (SLT) Snow Leopard Enterprises program. The Global Snow Leopard Summit presents a chance to convince world leaders to increase their efforts to save the endangered snow leopard. You can help with this, by signing a petition that was started by the Snow Leopard Trust. It is designed to urge world leaders to strengthen their commitments to protect this iconic animal, and it will be delivered to the delegates and heads of state present on August 24. Therefore I urge you, follow this link and sign the SLT’s petition! Thanks, Josh, for keeping me updated on my favorite cat. I usually don’t sign petitions, as I’m not sure how helpful they are, but I did sign this one. Thanks for signing the petition, Debbie! This one seems like it’d be helpful, because it shows the leaders of the snow leopard range countries how much people around the world care about these animals. They certainly are! Be sure to sign the petition urging world leaders to protect them; today is your last day to do so! Done😄 I know my one petition alone may not make a difference but hopefully by me adding to the many other’s, it will. Thank you! That’s the idea: when many individual voices join together the message becomes more powerful.